PSE develops, designs and constructs electric transmission projects in accordance with all applicable federal, state and local codes and regulatory requirements. Our engineering and construction principles are consistent with industry standards. We need to build Energize Eastside in two construction phases to keep the backbone of the existing transmission system online and serving customers. We’ll begin construction of Energize Eastside once we have the necessary permits. We anticipate constructing the project in 2019. 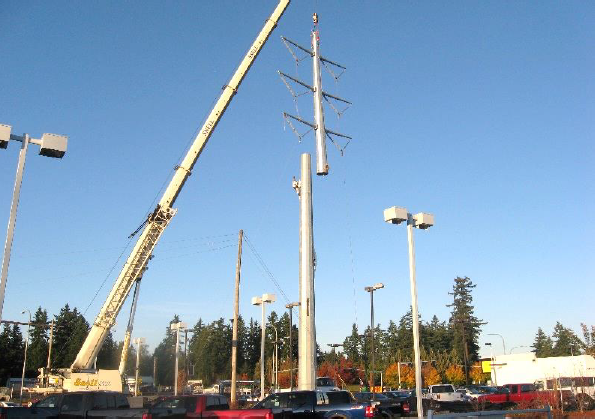 PSE's plan is to build and energize the new Richards Creek substation in Bellevue and upgrade the transmission lines in south Bellevue, Newcastle, and Renton first. Once we’ve energized the southern portion of the project, we will begin work on the northern portion. As we know more about construction details, we will keep you informed of the schedule and activities, including details related to closing roads, driveways, or access points. Review our construction fact sheet to learn more. PSE approaches every project with the same priority: the safety of our customers, the communities we work in, and our fellow co-workers. Learn more about Safety. As we approach construction, we’ll meet with affected property owners to discuss our construction plans. We will work with property owners to minimize impacts during construction as much as practicable. PSE began collecting field information in 2015 to inform the environmental review process, as well as project design and permit applications. The fieldwork conducted included a variety of surveys completed by PSE crews and industry experts investigating on-the-ground characteristics of a particular location. Crews routinely access the corridor today for inspections, maintenance and other needs. 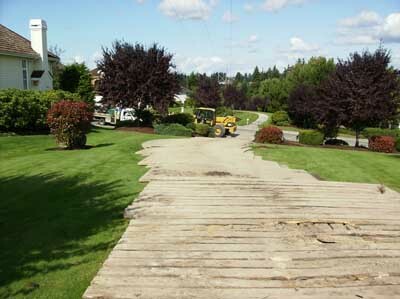 Where possible, construction crews will generally use the same access paths used today. In some situations, crews may need to establish new access points. If any new access is necessary, PSE will meet directly with affected property owners to discuss changes and use best construction methods to minimize impacts. We won’t know the exact pole locations until the permitting process is complete and we begin construction, but the new poles will typically be located in approximately the same or similar locations as existing poles. Prior to construction, crews will stake the right of way and critical areas, construct access routes to the pole sites, and trim or clear vegetation on the right of way. Vegetation within a utility corridor must be managed to comply with federal requirements to ensure safe, reliable power. During construction, work on individual properties will take place in phases. The construction team may visit a property for up to a few days at a time over several weeks or months before construction is complete. Construction will entail installation of new, longer-lasting equipment and fewer poles. The hole for each pole will be excavated using a vactor truck or an augur. Once the hole is excavated, a crane will be used to set the pole in place. Depending on the topography and location, other methods may be required to set the pole. Typically, each new pole will be installed directly into the ground or placed on a concrete foundation, such as a drilled pier foundation or a self-supporing foundation. This will be determined by the structural loading, soil strength, and accessibility of each pole site. Installing drilled pier foundations will involve placing a reinforced-steel cage into the excavated hole and covering the cage with concrete. The concrete will cure for approximately 28 days before the pole is ready to be installed. During construction of the new poles, the existing poles will remain in place, depending on the construction plan. "Stringing" is the term used for installing new wires along a transmission line. For Energize Eastside, we may transfer the existing wires to the new poles and use them to pull the new wires into place. When installing the new wire, specialized vehicles are used to tension the wire. Pulling and tensioning sites may be needed every couple of miles along the corridor during construction and would typically be in the existing corridor. Once the new lines are set, the existing wooden poles will be removed. Once construction is complete in an area, crews will remove equipment and materials from the construction sites and staging areas and begin restoring and replanting the corridor as agreed to with the property owner or per permit conditions. PSE will work to restore property affected by construction to its previous or an improved state, as practical. When restoration is not possible, PSE will work with property owners to determine other options.